Mr Dooley trained in London, Oxford and Southern Ireland and did his research on reproductive hormones and infertility. He is a Fellow of the Royal College of Obstetricians and Gynaecologists and has been a NHS Consultant in Gynaecology for over 23 years. Mr Dooley provides an integrated patient centered approach to women’s healthcare, offering the most appropriate evidence-based choice of conventional and complimentary treatments to address the patient’s wishes, beliefs and needs. 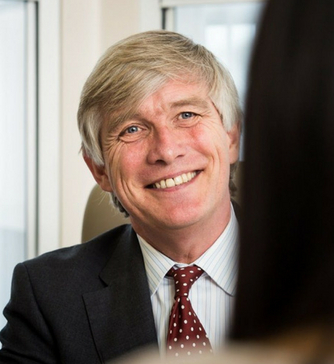 Mr Dooley has been involved with the management of infertility and IVF for over 25 years and is Medical Director of Poundbury Fertility at King Edward VII’s Hospital (see under services). Other Consultants who work in this unit, include, Mr Alfred Cutner, Mr Michael Savvas and Mr Davor Jurkovic. This service provides a full infertility service and satellite IVF is done mainly working with The Lister Fertility Clinic in London. Other areas of interest include, menopause, period problems, irregular periods, pre-menstrual syndrome (PMS) and polycystic ovaries (PCOS). He also manages pelvic pain and endometriosis and works in very close association with Mr Alfred Cutner for high level laparoscopic surgery. One of his other interests is gynaecological problems associated with women and sport. Mr Dooley has attended 3 Olympic Games and was Director of Sports Medicine and Science for the British Equestrian Federation for 8 years. He was lead gynaecologist at London 2012 Olympics. He has now been appointed to an International Olympic Committee on exercise and pregnancy. Mr Dooley also runs education programmes for health professionals, complementary practitioners and patients on reproductive health.